Kampar is one of the oldest town in Perak and the main reason why it was populated then was because this area was rich with tin-ore. This town has many pre-war shop houses which are still in use today. The setting up of UTAR has enabled this town to increase in the number of students and other supporting industries. 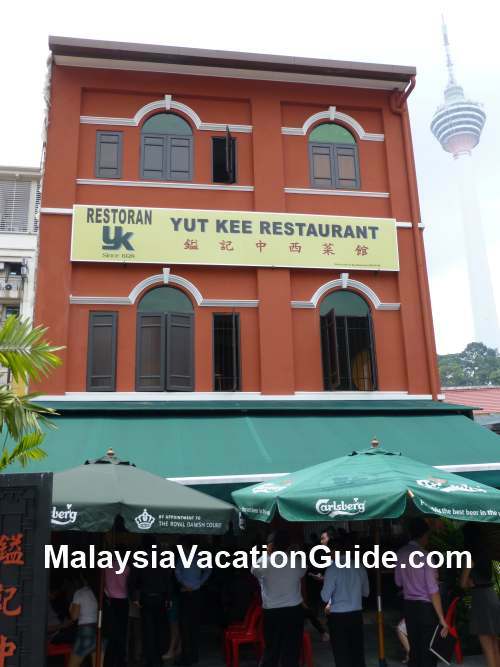 Yau Kee Restaurant, a corner shop along Jalan Idris. In the days before the north-south expressway was built, this town used to be a favourite stopping location for those who were travelling from north to south and vice versa. When the expressway was completed, many motorists prefer to stop by Bidor, Tapah and other towns which are closer to the highway instead of going into Kampar. 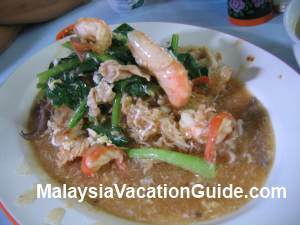 If you are using the highway and would like to come here, the nearest tolls to exit are the Tapah or Gopeng tolls. 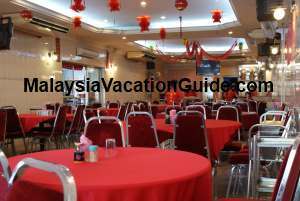 From here, you will need to travel by trunk road before reaching Kampar. If you have not been to this town, you may want to consider dropping by for lunch or dinner when you are travelling around this area. For those of you who are on your way back from Cameron Highlands, you may want to stop by this town using the Tapah exit. 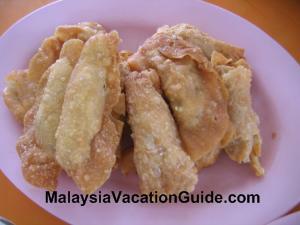 Some of the Kampar food that you can try include the chicken bread, salt baked chicken and Kampar biscuits. Most visitors will purchase some of these biscuits to be given away to friends or relatives. 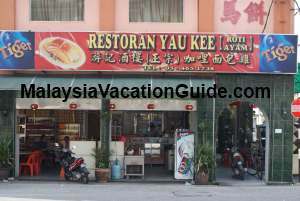 Yau Kee Restaurant at the town centre along Jalan Idris is a favourite stop for many travellers who want to try the famous chicken wrapped with bread. 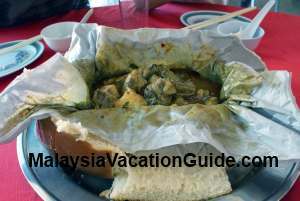 The chicken cooked with curry is wrapped inside the bread. 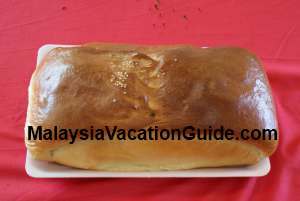 If you are not able to take spicy food, settle for the equally tasty herbal chicken bread. 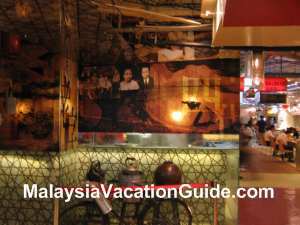 This restaurant also serves the typical Chinese dishes. 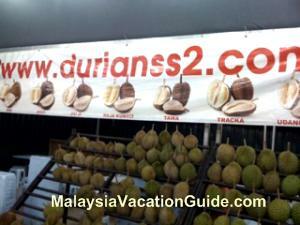 Occasionally there are tour groups that come here to enjoy this specialty during lunch and dinner time. You can have your chicken bread here at the air conditioned restaurant. 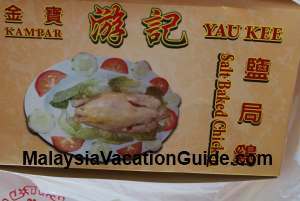 This restaurant also make salt baked chicken which you can pack back home. 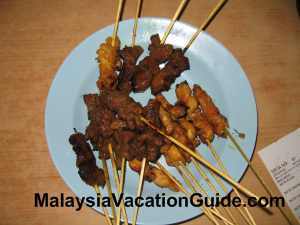 All you need to do is to steam the chicken and you will be rewarded with another way of enjoying the chicken from Kampar. 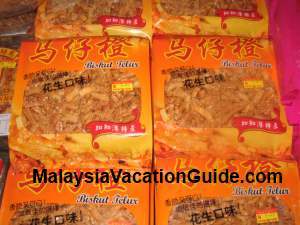 Other products on sale here include the Kampar chicken biscuits and a variety of pastries. 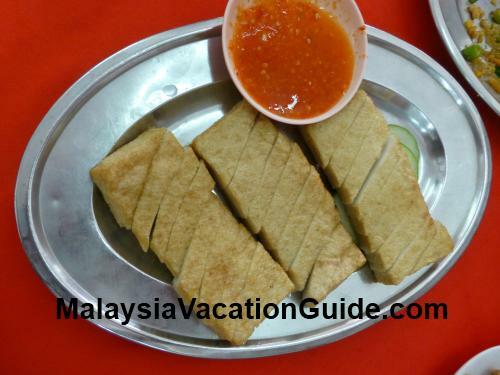 Kampar food - The famous Kampar chicken bread. The GPS coordinates of this restaurant is N03° 33.855' E101° 39.565'. 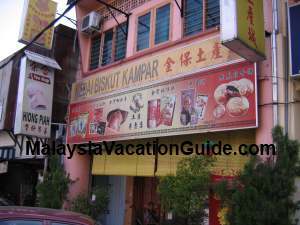 Further down the road is another shop called Kampar Biscuit and Confectionery that sells all types of snacks including the Kampar chicken biscuits. The chicken biscuit does not contain any chicken or chicken flavour. 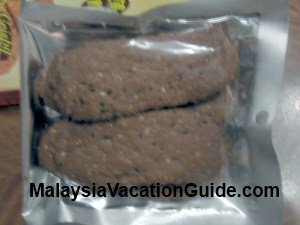 It is made from sesame seeds, garlic, pepper and other ingredients. You can try the thick or the thin type and decide for yourself which type you prefer before buying them. 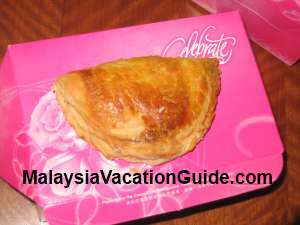 "Hiong Piah", a type of sweet pastry with caramel fillings are also sold here. Make that you request for freshly made ones as the older ones tend to harden and is not as nice. The other snack you can get here is the egg biscuit. It is sweet and sticky in nature. Take your time and look at many other snacks before heading back home. 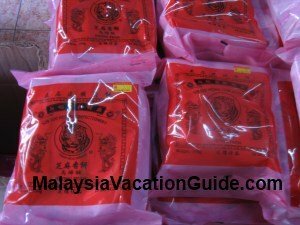 Kampar Biscuit and Confectionery shop. The famous Kampar chicken biscuit. The sweet and sticky egg biscuit.